overlooked by adopters for younger cats and kittens. 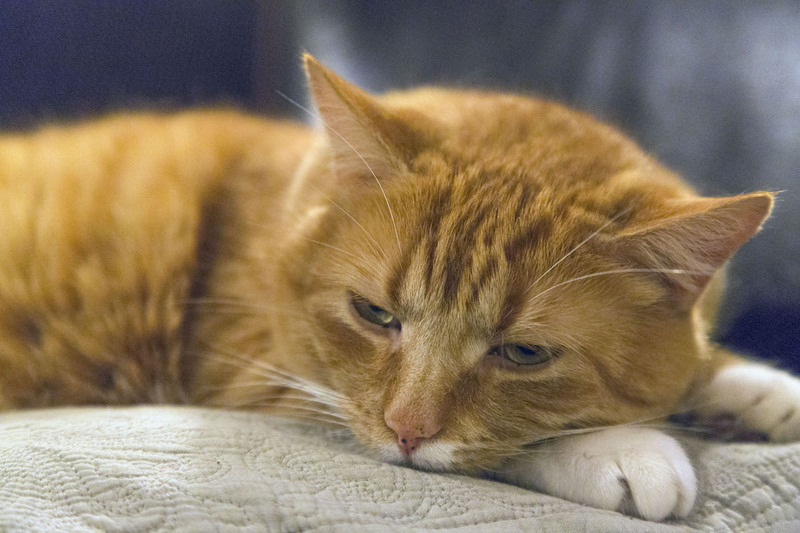 Older cats make wonderful companions, and thanks to advances in veterinary medicine, they are living longer than ever; however, they have unique medical needs. The veterinarians and medical team at Just Cats Hospital work with you to develop a health care plan that ensures your senior pet is safe and happy throughout his or her golden years. Although cats may have nine lives, they age faster than people and are considered to be seniors at 7 years old. Preventive care is the key to keeping older pets healthy. Symptoms of disease or a chronic condition many not be readily apparent. In some cases, conditions that look like the usual signs of old age could be signs of a more serious problem, such as arthritis, periodontal disease, kidney failure or cancer. We recommend all senior pets undergo at least two physical examinations each year, though more frequent examinations may be recommended based on each patient’s overall health. During an examination, we also perform tests that can detect the signs of heart disease, infection, diabetes and other health problems. If your cat is experiencing any changes in behavior, we urge you to bring him or her in for a check-up. We can make sure you and your faithful companion enjoy many more years together. Remember, you are the most important ally in keeping your senior cat healthy!